The WORCESTER PARK Blog :: Post Price Push? 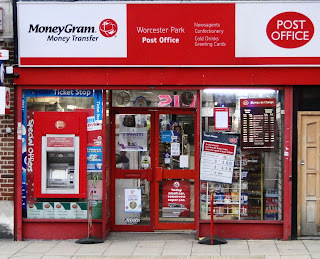 It has been brought to the Worcester Park Blog’s attention that some people believe they have been up sold at the post office. One person – let’s call them ‘Person X’, told the Blog that they wanted to send a letter by recorded delivery and was told the price was over £5, which they paid. Afterwards they discovered this was actually the price for next day, before 9am, special delivery - not the cheaper recorded delivery which they requested. In another example Person X said they wanted to send a 2.5kg parcel and asked for the cheapest way possible. They were told this was £12.60 but challenged the cashier believing it should be £8.80. The cashier admitted that this was indeed the price but claimed they hadn’t heard the request for the cheapest way. Having not got anything I need to post, I haven’t been to perform a ‘mystery customer’ test at the Post Office. However I would be interested to know if anyone else has experienced this.